Even though there is a typo on the page this is legit. I just got this from Scott. Do you know of any VETS that Might be able to use this? GPS is working with the Bay Area Workforce Development Board to pilot a work-based paid training program in Brown County for individuals facing barriers to employment that may be interested in a career in manufacturing. Recently separated veterans may qualify for funding that can be used for this training. Please see our entry on the state's website and let me know if you have anybody that you think might qualify and be interested. When you contact a Military FAC for assistance, keep in mind that the Military FAC staff is bound by confidentiality. When a loved one is deployed, the entire community of family members, friends and neighbors is affected. We at the Military Family Assistance Center are here to help. We understand that uncertainty and separation can create high levels of stress and anxiety. The Military Family Assistance Centers (FACs) focus is to provide family members information on entitlements and benefits available to them through referrals for assistance. The Military FACs were formed to assist families of service members with issues that may arise while the service member is deployed. The Military FACs provide information sources for a variety of services which the service members and their families may utilize before, during, and following a deployment. ideas in how to encourage the military home front. Veteran-specific help and information is available." "Get comprehensive information on the treatment options available to mesothelioma cancer victims. Veteran-specific help and information is available." The Wisconsin Army Cadets are a very close knit group that supports, challenges, and works together to explore the exciting opportunities that are ahead of our youth today. We offer youth the chance to establish and build on skills to be ready to take on a career, military, or college, and serve in their community. Helping Veterans get back to where they want and need to be. Veterans’ Mentor Group, Inc is a group of Veteran Mentors, Veterans, and partners from within our communities who share and understand the unique experience of military service, military life, and the distinctive needs that may arise from that experience. We are brought together with the singular purpose to support the Outagamie County Veteran’s Treatment Court and to fill the gap in resources to make certain that our Veterans gain the assistance they need and have earned. Veterans’ Mentor Group, Inc has been recognized as a Charitable Organization with the State of WI and have received our Tax Exempt status with the IRS as a 501 c (3). Our mission is to offer our local World War II and Korean War veterans a memorable, safe and rewarding tour of honor to our nation's capitol. It's a whirlwind tour. This trip happens all in one day and is completely free of charge to the vet! It's our small way to say 'thank you' for their service and sacrifices to this great country. We are also dedicated to making this trip as safe as possible. Trained volunteer 'guardians' are assigned to accompany every veteran. For added safety, we travel with volunteer medical professionals. Dedicated to preventing suicide through proactive education, training, emotional support, collaboration, and intervention. The Center offers support groups for all ages of those who have lost a loved one to suicide, those who have attempted suicide, and for family members. We offer presentations for schools in helping students cope and know warning signs of suicide. We also offer training for educators, healthcare professionals, police, and others. The FVVC is composed of area veteran service organizations and associate members who provide emergency funding for basic needs to area veterans, those still serving, their dependents, and survivors. We provide free, professional assistance to veterans and their families in obtaining VA and other government benefits earned through service. Good treatments for PTSD are available. 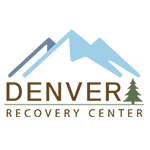 Here are some suggestions for finding a therapist, counselor, or mental health care provider who can help your recovery. Today's veteran faces many challenges when returning home from war and working to integrate back into normal society. In addition to the regular challenges of getting back to civilian work, today's vet faces a society that may not understand what happened on the battlefield or why it happened. The atrocities of modern war times are difficult for the modern individual to understand. This can leave a veteran feeling alone and disconnected. The Paralyzed Veterans of America (Paralyzed Veterans), a congressionally chartered Veteran service organization founded in 1946, has developed a unique expertise on a wide variety of issues involving the special needs of our members – Veterans of the Armed Forces who have experienced spinal cord injury or dysfunction, (disease, MS, ALS). As technology advances and our military becomes more intelligent, the face of war has changed in our world. Yet the toll that combat can take on those serving in our military is still a growing problem. Many of our nation’s bravest have come home from foreign lands where they were dealing with unknown dangers and putting their life on the line on a daily basis. Some of the memories they bring home with them are horrific in nature and can cause many issues if left untreated. Among the most prevalent of these concerns are physical pain from injuries and mental illnesses such as PTSD. Over time, many of these brave men and women who fought for our freedom find themselves fighting for freedom from alcohol and substance abuse. If you or a loved one are a veteran who has returned home only to find yourself fighting this new battle against substance abuse, you are not alone. There is help available to you right now.